Sometimes it doesn’t matter to which business group the company belongs. If it’s capable of producing great creations, end users won’t think of what is its parent company. iGaming software industry is changing fast and some suppliers change hands quite frequently. One brand can be taken over by a bigger competitor. This supplier is a master of casino software development. However, today its portfolio is distributed under NYX Gaming brand. So, visit iGaming operator powered by this leading gambling software developer to play slots released by Cryptologic. The software is appreciated by many players and operators are happy to present Cryptologic games on their websites. The games are high quality, smooth and engaging. But sometimes there are circumstances beyond suppliers’ control, and when Marvel was sold to Disney, Cryptologic lost a series of outstanding comic themed titles like Spider-Man and Blade. The history of iGaming knows some shocking examples of excellent suppliers turning out to be the property of criminals. No one could ever imagine Sheriff Gaming would seize to exist, but that happened. However, some companies have high values and voluntarily undergo various tests to show casinos using their software and players are safe and treated fairly. 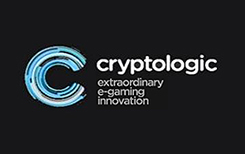 Cryptologic has never been involved in suspicious activities and its current owner has also built excellent reputation. Its parent company is under UKGC’s constant watch, and this regulator won’t forgive breaking the rules. That means playing Cryptologic games is safe and secure. Millions of punters trust this developer and spend tons of money to spin the slots’ reels. So, you can assume that there’s nothing you should be afraid of. Out of around 2000 titles available through NYX platform, there are 200 produced by Cryptologic. After it was acquired last time, it’s difficult to keep track of what was released by the studio as NYX doesn’t usually mention which studio is behind the release of certain titles. But we believe this great team is still regularly updates its portfolio. Unlike many other veterans, Cryptologic supplies only slot content, and their extensive experience shows. As it usually happens, older creations don’t look that appealing anymore, however in case of this supplier, those slots haven’t lost their beauty. Back in the late 90s and the beginning of the next century technology was different and Cryptologic creations of that time can’t compete with modern ones. But their latest titles would satisfy demands of today’s players. The company doesn’t always follow familiar and widely accepted paths and surprises gambling world with its fresh thinking. Apparently, their Cubis slot was a result of a brave experiment. This game is a success as you’ve probably never played anything like this before. It has unconventional layout and very bright design. We would call it one of the most intriguing and unusual video slots. Jenga is another example of their unconventional thinking. If you got tired of hundreds of similar slots, try these games. They are far from being ordinary or boring. There are all sorts of video slots, including a number of traditional looking games with 5×3 reels sets. Cryptologic games tell engaging stories and some of their stories are well familiar to movie fans. Movie studios aren’t afraid to trust this company and therefore Cryptologic was able to produce a lot of titles based on hit movies like Forrest Gump and Braveheart.